MOSCOW, December 4 (RIA Novosti) – Russia’s Foreign Ministry and the Russian Orthodox Church have demanded the release of a group of nuns reportedly captured by Islamist rebels at an ancient convent in Syria. 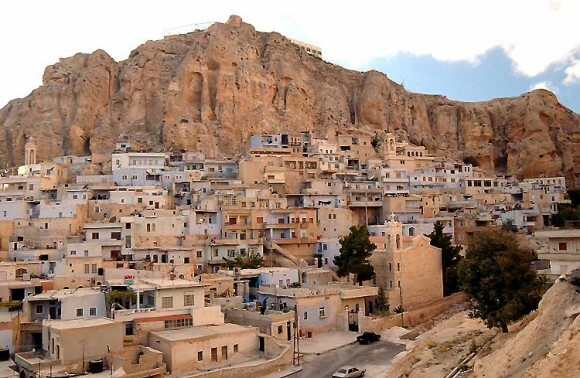 The nuns were taken away by armed men who broke into the Greek Orthodox convent of St Thecla on Monday in the village of Maaloula, some 50 kilometers from the Syrian capital Damascus. There was some confusion over the number of women involved and whether they had been taken hostage by rebels or forcibly evacuated from the fighting in the village. Vatican Radio reported that Pope Francis called at his general audience on Wednesday for prayers for the nuns of St Tecla “who were taken away by force by armed men”. The Vatican’s ambassador to Syria, Mario Zenari, said that 12 nuns had been taken to the town of Yabrud, some 80 kilometers north of the capital, according to media reports. Russia’s Foreign Ministry site reported that 13 nuns were missing including the Mother Superior, Pelagia Sayaf. Syria’s state news agency Sana said on Monday that Sayaf was one of six nuns trapped in the convent. Konstantin Dolgov, the rights ombudsman at the Foreign Ministry in Moscow, urged the international community and rights organizations to condemn the incident, which has increased fears over the safety of Christians living in Syria. “We call on those who kidnapped the nuns to free them immediately safe and sound,” Dolgov wrote on his Twitter account Wednesday. The Moscow Patriarchate of the Russian Orthodox Church also condemned the “cynical act of extremists” in a statement Wednesday and said that it was praying for the safe release of the nuns. It expressed “full solidarity” with the Greek Orthodox Patriarch of Antioch John Yazigi, who appealed in a statement for “the kidnappers” to free the nuns and a group of orphans that had also been living at the convent. Syria’s minority Christian communities have been a frequent target of extremist Islamist insurgents among rebel groups that have been fighting a civil war for almost three years against the regime of President Bashar Assad. Two bishops and a priest have previously been kidnapped by rebels, but this is the first incident involving nuns.